Well, actually, in my opinion, you don’t need a car to visit Walt Disney World. On our last few trips to Orlando, we have managed without a car just fine. 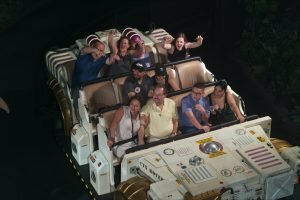 We explore this common Orlando Myth and why hiring a car is often an unnecessary expense when visiting Walt Disney World. Our guide has been updated with all the latest information for 2019. Can everyone visit Orlando without a car? Walt Disney World without a car is not practical in all situations, e.g. if you are staying in a local villa or a local hotel without shuttle transportation. In these situations, the cost of hiring a car is justified. While you might be able to manage a day or two by getting taxis it probably isn’t really a viable option. However; if you are staying at a Walt Disney World Resort or a nearby hotel which provides park shuttles, you will be fine. Even if you are planning to visit Sea World, Universal or other Orlando Attractions, you will still manage without a car. The more complex your itinerary, and the longer you intend to visit attractions other than Disney World or Universal, the stronger the argument for hiring a car becomes. 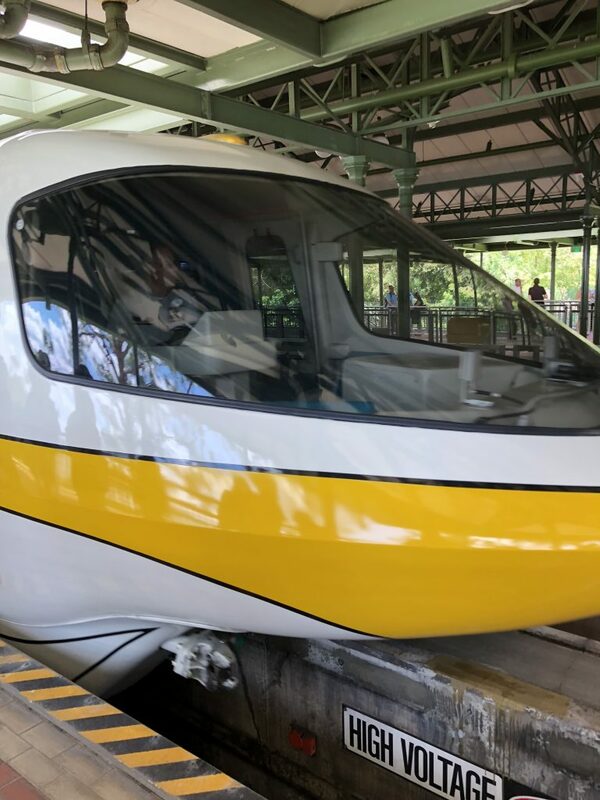 Our guide to Walt Disney World without a car provides tips on navigating Walt Disney World, Universal Orlando, Orlando and getting to your resort from the airport. Increasingly guests staying at Walt Disney World are wondering whether hiring a car is now an unnecessary expense. These concerns have developed after a new car parking charge was introduced for guests staying at Walt Disney World. Previously guests staying at Walt Disney World properties enjoyed free resort parking. However, this recently changed and guests now pay up to $24 a night to park. 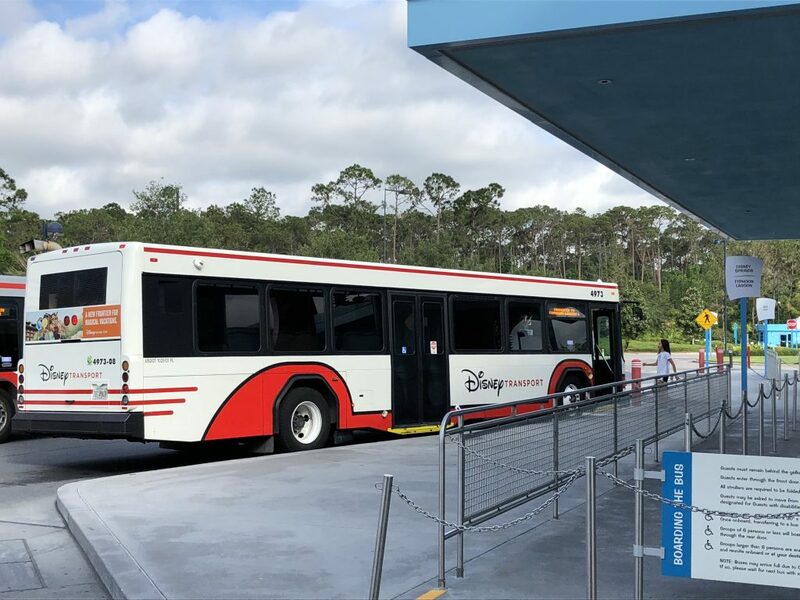 Guests staying at a Walt Disney World Resort enjoy free transport from Orlando International and free transportation throughout Walt Disney World. While having access to your own car might be slightly more convenient on occasions, it is difficult to justify this daily parking charge especially if you are not intending to leave Walt Disney World. Once you are through immigration and baggage claim follow the signs to Disney’s Magical Express which is located on Side B Level 1. You will need to quickly register at the check-in desk. You can, and are advised to, register prior to your vacation. Guests who have registered in advance, and already have their Magic Band, simply tap the post on arrival to check-in. Once checked-in you will be transported to your resort via Disney’s Magical Express. Usually, there is a short wait before your coach is available. The service is a shared ride so the might be drop-offs at other hotels first. If you are returning to Orlando International Airport at the end of your vacation the day before check-out a Transportation Notice will be delivered to your room. You will need to bring with you this notice to board your coach. Disney’s Magical Express really is a good service even if it is not quite a “magical” experience. If you are arriving at Orlando Sanford airport things are not so easy. There is no Magical Express at Sanford. Your options are taxi or shuttle but they are not cheap. Expect to pay up to $150 for a taxi. Getting around Disney World without a car is easy. Disney has its own fantastic internal travel network. 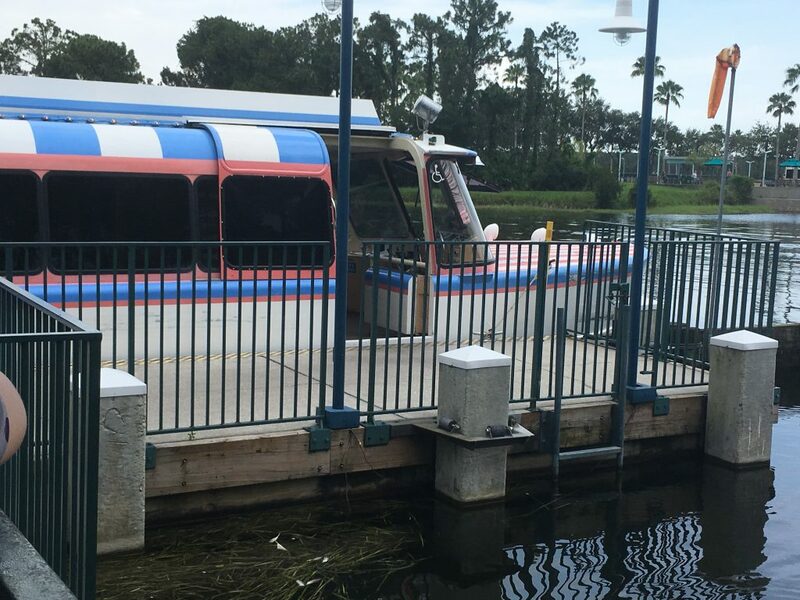 From buses, monorail & ferries you will be transported across Disney World for free from your resort. Complimentary transportation is available from all resorts 45 minutes before Disney Theme Park opening time up to one hour after Disney Theme Park closing time. Additionally, buses run until 2:00 a.m. from the Disney Springs Area. Services are regular and reliable. However; it does take a little longer than driving so remember to leave in plenty of time if you have made dining reservations etc. It is also worth remembering that direct routes are not available to all locations. To travel to another resort, you will usually have to change at either a Theme Park or Disney Springs. This transport navigation tool created by WDW Prep School is a fantastic tool to plan your journey. It is possible to manage without a car if not staying in a Walt Disney World Resort. However, many guests will find a car easier. The majority of hotels in Orlando offer transportation to Walt Disney World. Sometimes there is a fee for this service or it is included in a compulsory Resort Charge. These buses vary in quality and may be shared with other hotels, but looking at hotel review sites will provide plenty of information. At most parks, you will not be dropped off as close as you will be with Disney Transportation. Many shuttles stop at a more distant bus stop or at the Transportation & Ticket Center. 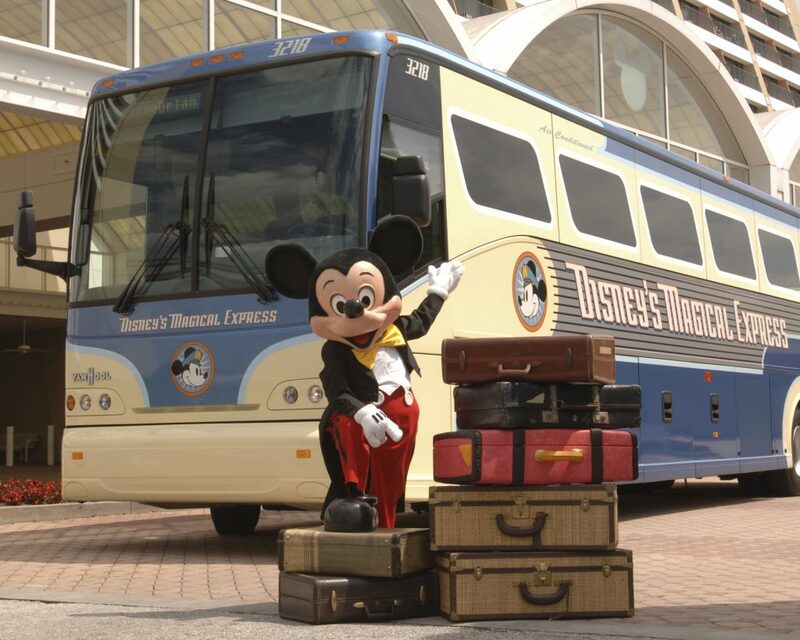 You might need to use Disney Transportation to get you to your final destination. Having to navigate additional transportation can easily add an extra hour to your journey. If you are staying in an Orlando Villa having a car is really the only option. While you might manage using taxis for a couple of days. This will soon add up to a very expensive option for longer stays. Disney World & Universal do not run transport to each other’s parks. However; it is not difficult to get between Universal and Disney. Your options really depend on how many of you there are. The easiest option is to get a taxi from outside your hotel. Expect to pay $50-$60 each way. Perhaps not quite as easy but cheaper is catching an Uber or Lyft. Uber & Lyft are both cashless taxi services. You order your taxi from an App and your payment is taken from a pre-registered card. Prior to your driver arriving you will receive details of the driver, previous reviews, the car being driven and expected cost of your journey. We have never waited longer than a few minutes for an Uber. Both these services in our opinion are a game changer for guests who do not wish to hire a car. Both Uber and Lyft work out far cheaper than regular taxis. With a full audit trail, it also feels a lot safer. The only negative is you must have access to either 3G/4G or WiFi to order a taxi. An alternative option to get between Universal and Disney is a shared bus. Mears provide a service which we have used before. Hotel staff; depending on how helpful they are; will arrange this for you. From our experience, if there are more than 3 of you getting a taxi or Uber works out cheaper than the Mears shuttle. However, for couples, it is an option worth considering. Your bus will also make multiple stops for pickups and drop-offs so it will take longer to get to your destination than a taxi. Why Not Stay in More than 1 Hotel? If you are planning to spend more than 1 day at Universal or Seaworld it is worth considering staying in more than 1 hotel. Often it will work out cheaper moving to another hotel than paying for multiple transfers. 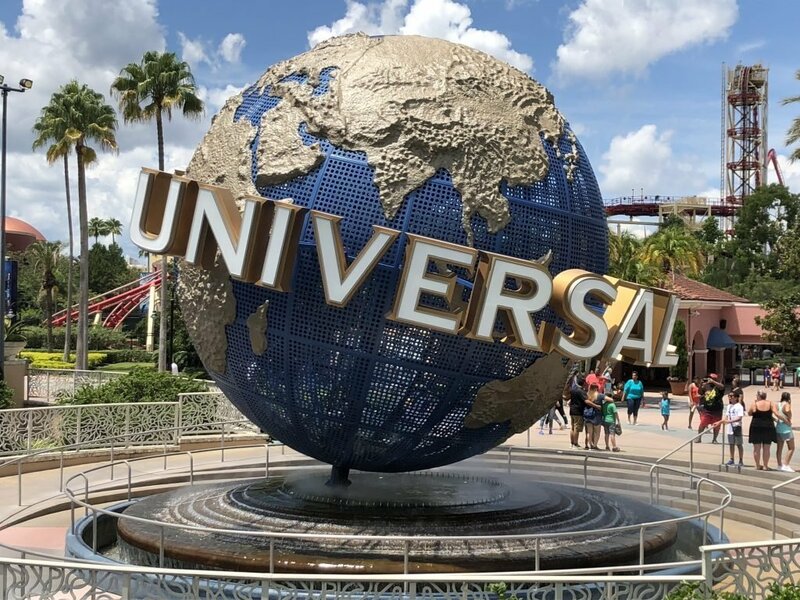 Walt Disney World & Universal Orlando Resorts are not cheap and if you are visiting other attractions you lose some of the home resort benefits. 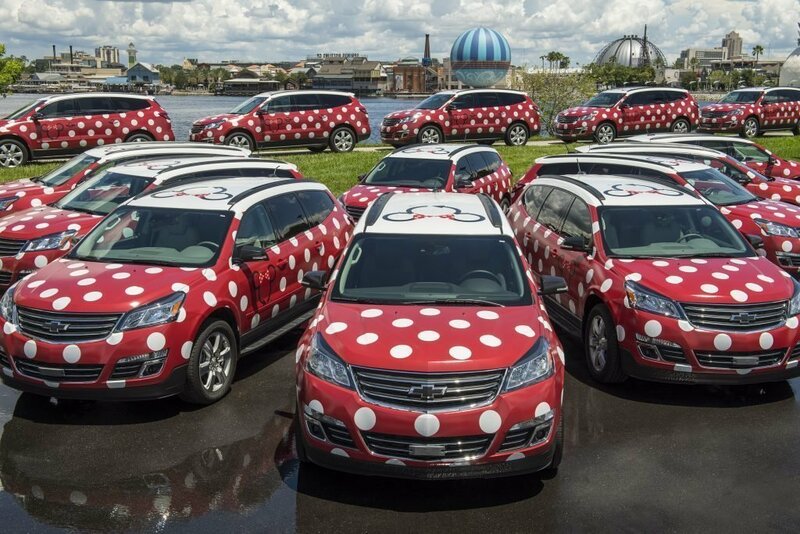 Minnie Van is a new service offered at Walt Disney World. This new service is not complimentary and has been gradually rolled out over the last couple of years to now include all guests. Guests can be transported in a dedicated Minnie Van anywhere within Walt Disney World, but the service is not cheap. You can also be transported from Orlando International. Disney had obviously spotted the opportunities in the Uber/Lyft market and have created their own competitor. Actually, Disney is running this service with Lyft and you need access to the Lyft App. Any Cast Member at your Resort Front Desk will help you get started. Up to 6 guests can travel in 1 car and there are 2 junior car seats available for all vehicles. There are options for Wheelchairs and Scooters but you may wait for longer. When the service started it initially ran as a fixed fee. However, the service currently costs $15 + $2.75 a mile. In our opinion the costs of the Minnie Van Service is excessive and both Uber & Lyft provide a much more reasonably priced service. However; the availability of accessible vehicles is a big positive. The Minnie Van Service is also available to and from Orlando International and at the time of writing costs an astonishing $150 each way. One advantage the Minnie Van Service has over Uber, Lyft and traditional taxis is drop off and pick up points. The Minnie Van Service has much nearer points to the entrance at all theme parks. For the Magic Kingdom other services have to drop off at the Ticket & Transportation Center. While not hiring a car is not an option for everyone we do think it is feasible to do Orlando without a car. If you are planning to only visit Walt Disney World and stay on site we can’t see any reasons to hire a car. Avoiding the new resort parking charge will save you considerable money. However; if you are planning to visit multiple parks whether to hire a car or not is something you will need to consider carefully. Visit our Guide To Disney World Transport to learn more about travelling within Walt Disney World. Visit our guide Walt Disney World for Beginners for more essential tips. If you want more Walt Disney World Tips & Tricks we have lots of them here on Modern Life is Good. Here are 201 Tips & Tricks to have a great vacation at Walt Disney World.